MainAll NewsForeign AffairsWill France try to present a peace plan? According to reports, amid Israeli concerns over a French peace plan, Macron sent a special envoy for talks in Jerusalem and Ramallah. French President Emmanuel Macron this week sent a special envoy for talks in Jerusalem and Ramallah about the Israeli-Palestinian peace process, Channel 10 reported. According to the report, the emissary was the deputy national security adviser to the French administration, Orléan la-Chevalier, who is considered one of Macron’s top confidantes. He met in Jerusalem with Deputy National Security Advisor Eitan Ben-David and in Ramallah with a senior PA official, Saeb Erekat. According to estimates, the main reason for the arrival of the French official is the November 11 leaders' summit in Paris, in which Prime Minister Netanyahu, Palestinian Authority Chairman Mahmoud Abbas and United States President Donald Trump are to participate. 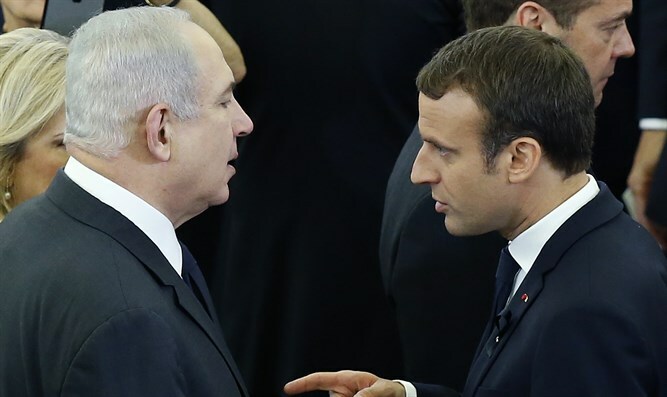 It was also reported that Macron is interested in examining how the Israeli-Palestinian issue can be integrated into the summit - whether by having it mentioned in its concluding statement or by other means. In addition, Israel believes that Macron intends to try to present his own peace plan in parallel to that of the US, or to present his plan in the event of the failure of the US plan.